Buffering ready, I hit the start button to begin the 13 episode grind. The premise was simple, a traveller and his talking motorcycle travel to often strange lands with even stranger customs. They stay for two days only before leaving for other lands. I dropped it temporarily after the 3rd episode and I only picked it up again this week. Because this episode gave me the inspiration to write the post that you see here! Knowing the backstory and context to Kino’s travels also gave me something to write on regarding her. Besides practical reasons though, I’m glad I picked it up again because it is a mighty fine show to watch in the first place. I have lousy patience with slow starts in anime, so this is yet another fortunate reminder/kick in the rear not to drop shows at first glance. Enough talk, here’s how Kino no Tabi influenced me to have a crush on a loli girl with skill, guts and an addictive calm personality. The country in which Kino grew up along with all the countries she’s seen up to that flashback episode are either odd, falling into ruin or just plain crazy. From the country with ever-changing customs to the country with never-ending despair, Kino goes to all of them, keeping a neutral stance all the way as a traveler should. At each country, I throughly enjoyed each society’s flaws or quirks thanks to a love for fictional dystopias-they show a possible past, present or future of humanity that just might have happened if the circumstances were aligned. It’s chilling and sobering, yet somehow fascinating at the same time. 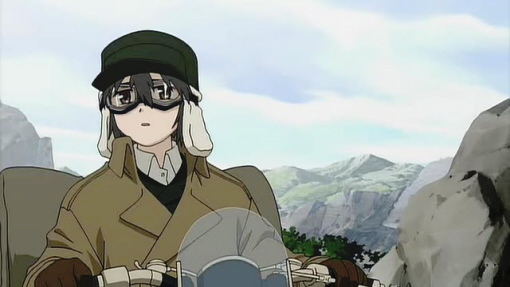 Besides that, Kino no Tabi’s countries aren’t based on instantly-recognizable real world examples. Instead, most of them reflect the flawed or dark parts of past and present (and possibly even future) societies in the real world. Take for example, the country with too much democracy, the country with no working people and the country with telepathic citizens. Not only does this makes it apolitical (it even questions democracy), it also makes it unpreachy. You aren’t told openly what was “wrong” with that country nor are you expected to swallow the fact that something is wrong. In fact, if you look at these countries in a certain perspective, their customs are perfectly logical. 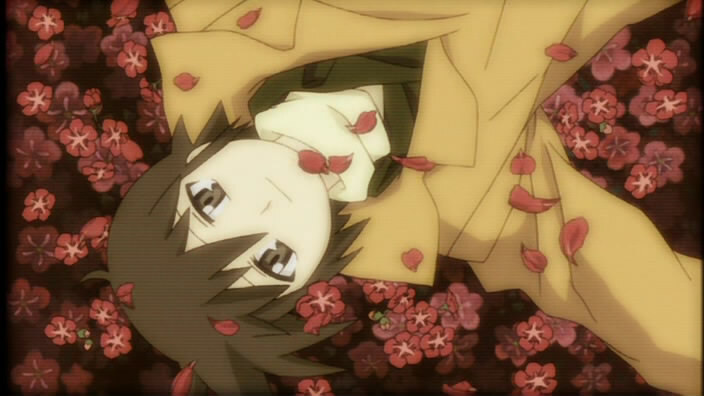 That leads me to my next point-Kino no Tabi gives you space to think. Leaving you with the bare facts and most vague of contexts, it leaves it up to you to examine every minute aspect of a country. It makes for a more immersive experience overall since they don’t judge for you but let you decide for yourself. 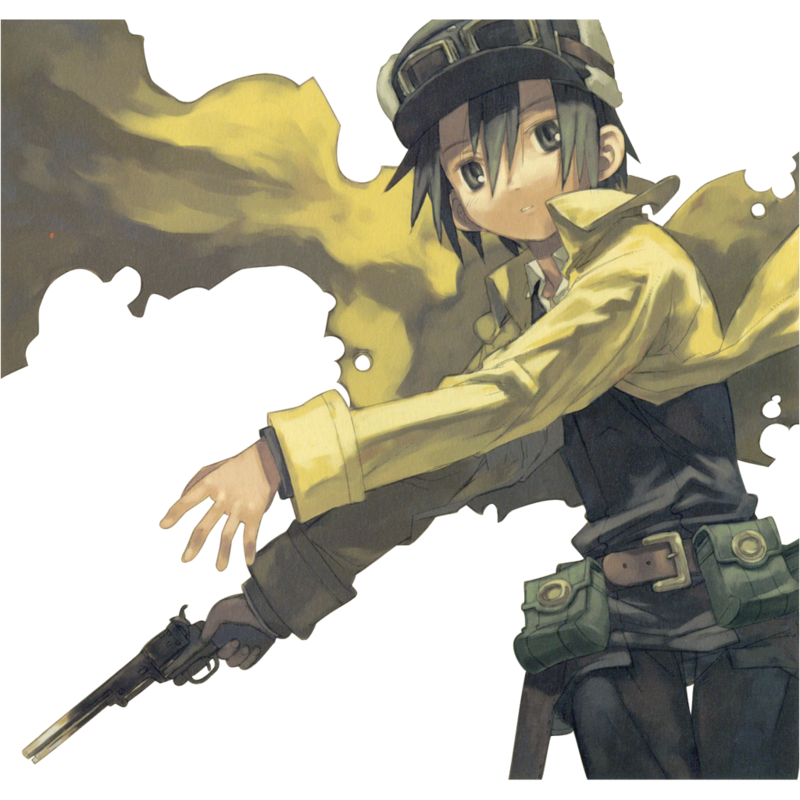 Besides that, Kino no Tabi gives us the opportunity to look into these societies and ask-“Are we any better off than these people?” I found that the country with too much democracy gave me a new perspective on the concept of “power to the majority”. On a more metaphorical side note, I’m loving the fact that they deliberately imparted human flaws uniformly throughout each country’s society. If you think about it, the obsession with adulthood in the Land of Adults and the blind faith in prophecies seen in one country shows traits that are all too common in people. It’s a little illogical, considering that people and societies are more complex than that, but it’s still unique asset of Kino no Tabi. With Hermes too, of course. They may be bonded to each other out of necessity, but their friendly and offbeat interactions are a small breath of fresh air in their stale and isolated world. Hermes often screws up his words and chides Kino, but I think he has more heart than some of the people Kino meets on her travels. I’m ignoring the elephant in the room though, which is Kino. And boy, what a stoic elephant she is. She’s definitely in a tie along with the Persona 3 and 4 protagonists for stoicism, which is saying something. That’s not a bad thing though, since this would mean that she doesn’t get too emotional easily and stays calm during crises. Her cool demeanor just before she dispatched the 3 phony “cargo merchants” was a shining example of this. Although that one scene made me like Kino, I had no idea she was a girl at the time and chalked my feelings up as admiration. Now that I know, I don’t know whether to be excited that she’s a girl or disappointed that she’s a loli…Ah well, life’s like that sometimes. Moving on, although she does have a soft spot for singing, I think most of her emotions went down the drain along with the real Kino’s blood that fateful day. And as far as I can tell, she doesn’t hold a grudge against anybody from her country, including her heartless “parents”. Even if that was caused by trauma from that day, she still seems capable of forgiveness, which is another thing to like about her. Kino no Tabi, like even the most utopian of societies, also has its share of problems. First off is its simple art and mediocre animation. Passable, it doesn’t really help make it much of a joy to watch the series. Perhaps they wanted to allow us to focus on the plot instead of the art? Who knows? All I know is, Kino no Tabi would’ve been much more memorable and easier to recommend if it had more eye-catching art and animation. Not helping at all are the abstract scene transitions as well. They’re usually inner monologues by Kino (as far as this simple blogger can tell) or statements appropriate to the situation. Far from inspiring deep philosophical thinking, it can be quite confusing sometimes. 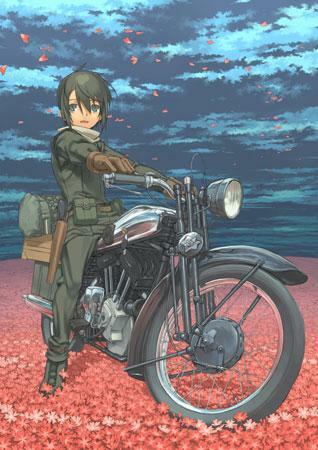 However, I read that Kino no Tabi is based on a light novel, so some lines might’ve been lifted from the source material. Anyone know why? -Jarring screen transitions and sometimes hard-to-understand philosophical monologues. All in all, Kino no Tabi is definitely worth your finite time if you’re looking for a series that explores human nature and society at large-the adult side of anime. With an episodic formula with not too many jargon and plot details, you can just sink your teeth into it right away. It has some weak and abstract moments, but they tend to be overshadowed by it’s unique plot. Now, if you’ll excuse me, I’ll be watching the rest of this series and hoping that it ends well for both the intrepid (and beautiful) Kino and her partner Hermes. Any thoughts on the countries that Kino has gone to? What do you think of Kino? Is her story tragic or hopeful? Does it really matter? Pen your thoughts below! This entry was posted in Anime, Reviews and tagged countries, hermes, kino no tabi, lolicon shame, review by Yippy. Bookmark the permalink.